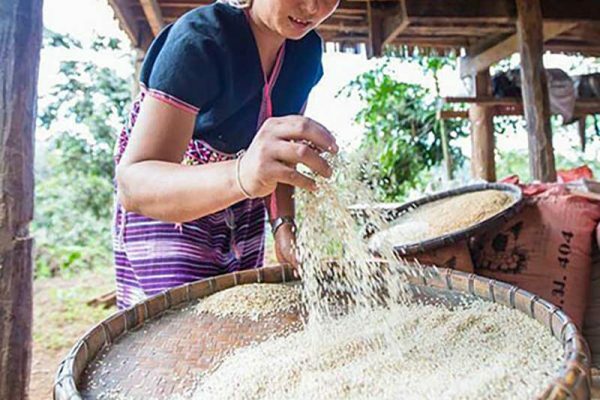 With more than 200,000 registered migrant workers registered within the province, Samut Sakhon is nicknamed the “Myanmar City”. Many migrants head to Samut Sakhon to find jobs in the fishing industry, frozen seafood industry, manufacturing industry, or industries that hires cheap migrant labors. 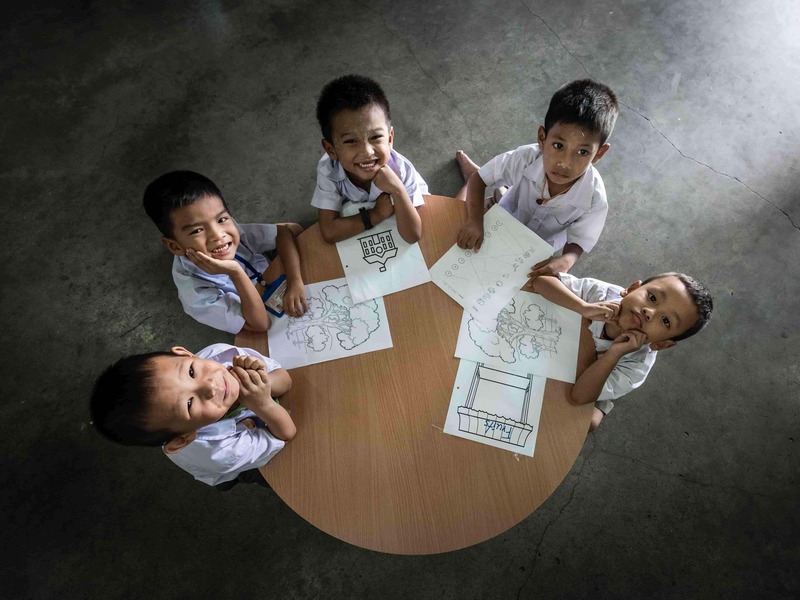 Samut Sakhon province has more than 5,500 migrant children aged between 5-15 years old. Within the province, 2,272 children out of 5,500 children are able to attend government schools but other remaining children do not have the chance to receive education, where they would normally stay alone at home all day while their parents head off for work. 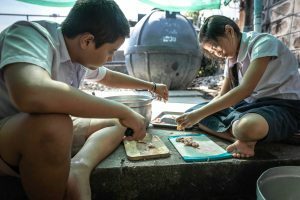 The main reason why these children are not receiving any opportunities or support is because their parents are migrant workers with low wages. Moreover, many migrant parents are also unaware of their child’s basic rights to receive education regardless of their race or religion. 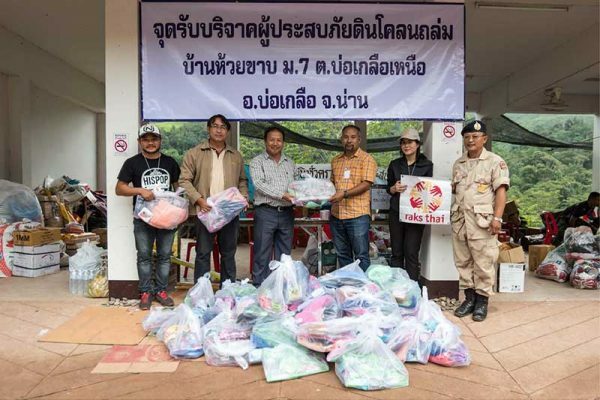 Therefore, Raks Thai Foundation foresees that this is an important issue to help these children, if their parents are unable to. Raks thai Foundation helps by taking care and looking after the children of these migrant workers. 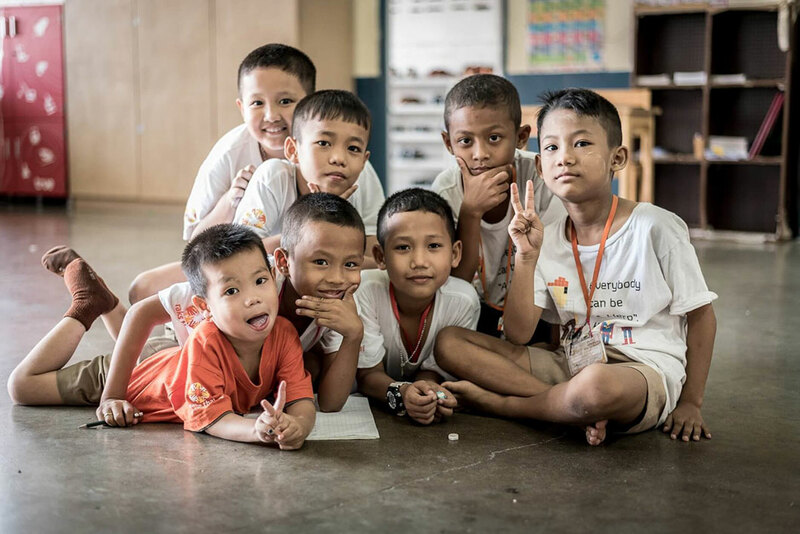 Looking back to 20 years ago, Raks Thai Foundation had just established the migrant children’s learning center, with the objective to provide education, promote learning skills, language skills, and career skills to the children in the province. All children are taught, regardless of their race and nationality. Currently, the migrant children’s learning center is in charge of taking care of 130 children (aged between 5-16 years old) from various nationalities such as Hmong, Cambodia, and Myanmar. A total of 5 teachers are in charge at the learning center who acts as semi-volunteers by teaching and taking care of these children. Not only do the teachers teach these children but another main duty that these Raks Thai Teachers have to do, are to regularly meet with the parents of these children to discuss about the importance of receiving education, in order to create awareness and point out the chances of the development and the living standards of these children. So that the parents of these children will become aware and understand the potential in their children, and for the children to use their obtained skills and ability to study further rather than ending up with a typical migrant job in the fishing and manufacturing industry. 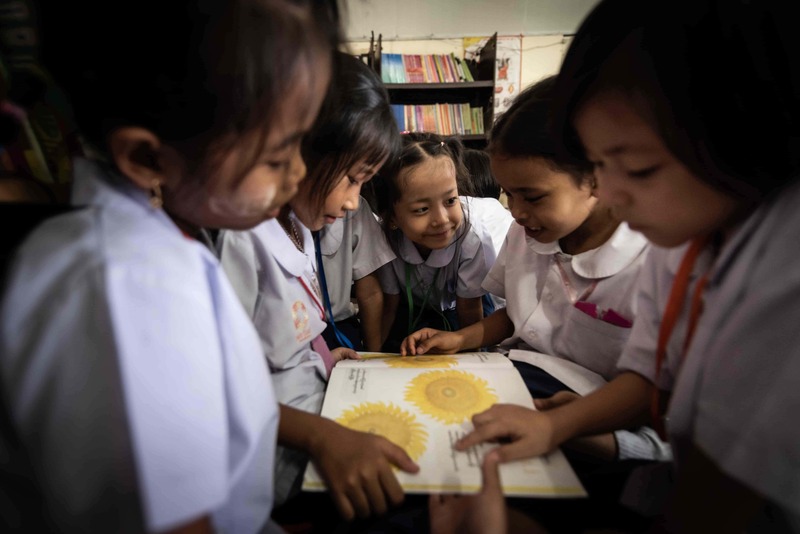 Children of migrant workers will be able to possess a higher potential in their physical attributes, intellect, occupational opportunities, and social skills to protect themselves from any forms of human trafficking of migrant workers. Providing these children of migrant workers with the chance to receive education, life skills, fundamental knowledge especially their rights to receive education, and protection from the learning center. Raks Thai Foundation has prepared many activities in order to deliver these objectives to the children such as teaching them on a daily basis from Monday to Friday, supporting them through special learning equipment, supporting child nutrition by providing them with nutritious food program, planning the teaching and learning schedules, following up with the children’s learning progress by providing their parents with evaluations of their physical and mental health, training the teachers yearly, and having monthly meetings to catch up on the progresses. 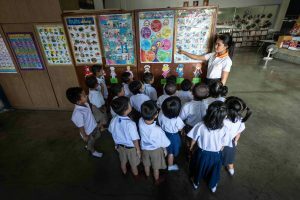 Ensuring that parents participate in the development of their children’s learning process; Raks Thai has offered many activities by providing the parents with information about the children’s learning activities, child protection, safety at the learning center and at home. Special events have also been organized to build the family’s relationship such as visiting the children at their homes, organizing quarterly meetings with the parents and caretakers of the children to discuss about their learning progress, their interests and rights to receive further higher education.